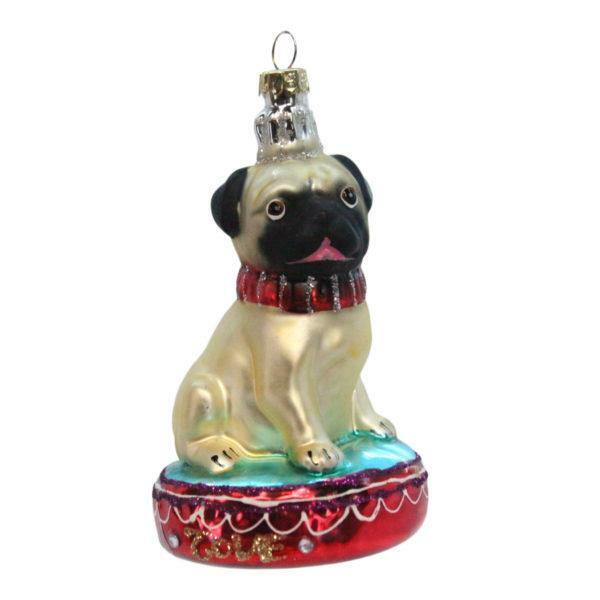 Beautiful painted Pug on a Cushion Tree Decoration. Fun Pug on a cushion decoration. Beautiful painted glass Pug on a Cushion Tree Decoration. 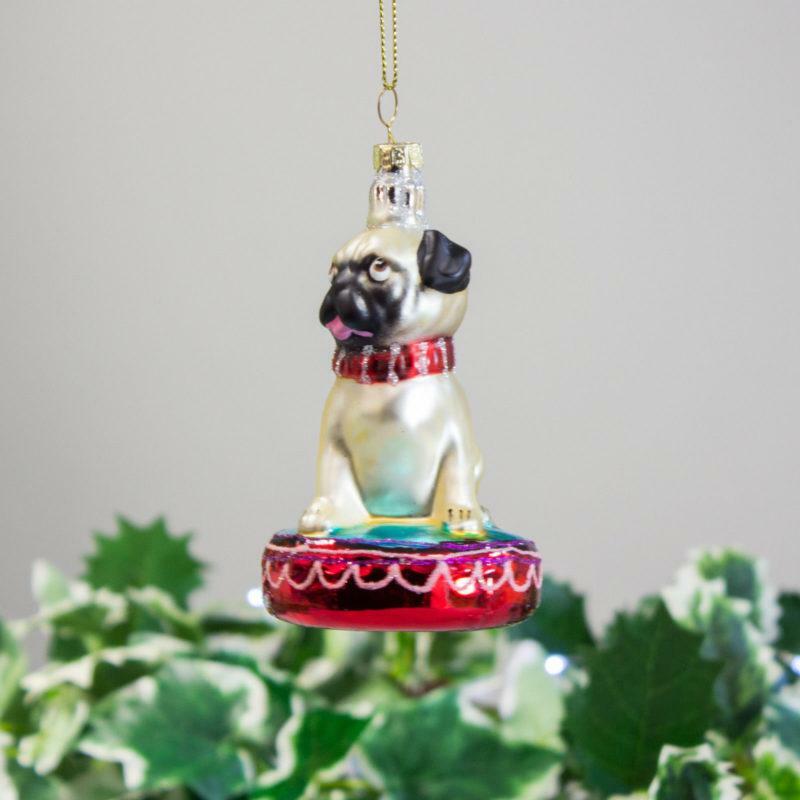 Add a touch of fun to your festive tree with this cute Pug on a Cushion decoration.